A few random notes about QGIS, QT, HiDPI issues and how to address them. A few months ago I changed my laptop for a Dell M3800 with an amazing 3840×2160 15,6″ display, that means a crazy 282 dpi resolution. I won’t discuss the problems I had to face and resolve to make this thing usable with Kubuntu 14.04 because they are yet some useful resource on the net: https://wiki.archlinux.org/index.php/HiDPI. 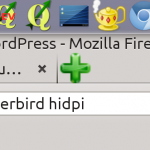 The executive summary is that KDE and QT/GTK applications work pretty well and without serious usability problems: Firefox, Chrome, Thunderbird have no problems at all if we exclude some really minor glitches like pixelated or too big icons in a few occasions (see the example below). 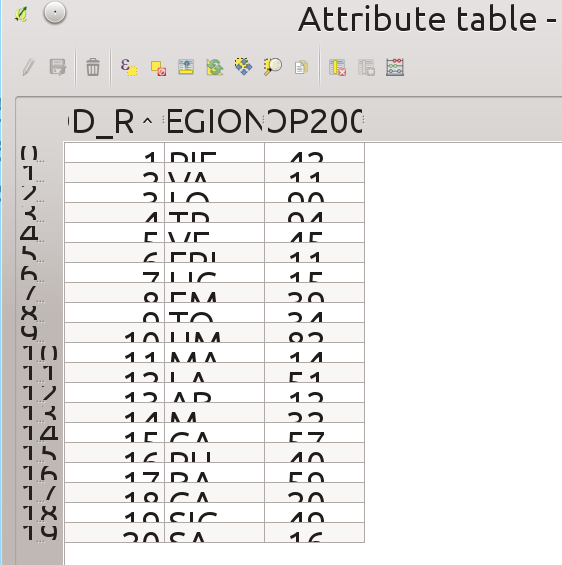 Unfortunately, QGIS has some serious usability problems on such an high resolution screen and I spent a few hours try to understand how is it possible to fix them and what should be done to avoid them in the first place. The reason behind is that HiDPI screens usage is increasing and we can expect they’ll gain more and more market share expecially among professional users and GIS users are mostly professional users! To give you a quick taste of the kind of problems that have to be addressed, take a look at the pictures below. I tried to fix some of the issues shown above and this is the resulting commit: https://github.com/qgis/QGIS/pull/2014/commits, QGIS run on different platforms and I wasn’t able to test it on all of them, I hope the fixes will not cause problems on platforms and screen sizes other than I could test myself. But the purpose of this notes it to list some humble tips that could be useful to avoid or fix these kind of problem. Tip #1: Avoid hardcoded pixel values! Do not use QFont setPixelSize but use setPointSize, and better, avoid setting a custom size at all. Do not use KIconLoader::StdSizes. Even though it would sound like a good idea to use it, it suffers from the same issue: Hardcoded pixel sizes. To get a user’s configured icon size, include and use the IconSize function (note: this is not a member function): IconSize(KIconLoader::Small). However, be aware that the user might be able to mess up your apps look by setting some insane values here. Things were harder with plugin manager, the MVC delegate that draws the plugins rows contained a lot of hardcoded metrics for icon and text placement, the solution was to change the values to be relative to the configured font height, see all details in my PR to solve plugin manager HiDPI issues This is generally a good idea: we must not make any assumption about the size of the fonts the user will be using. 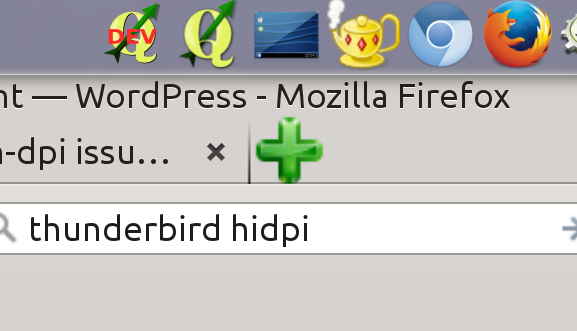 There is still much work to do in order to have an usable interface on HiDPI screens, some issues can be easily solved by avoiding hardcoded sizes and leaving to QT the heavy job of calculating GUI widget sizes. It’s important that developers (not only core developers but plugin developers too) are aware of this kind of issues and how to avoid them in the first place. HiDPI screens are just around the corner and it’s better to be prepared. A final note about QT5, it’s not clear to me if and when the move to QT5 will be done and moreover if that move will automatically solve HiDPI issues due to a better HiDPI support, but I’m afraid it won’t.